Shades of all white flowers. 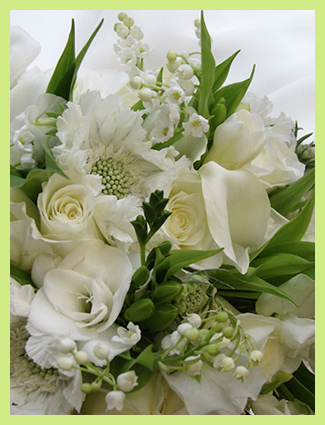 Seasonal flowers such as stock, lilies, roses, freesia, gerbera daisies, hydrangea. Flowers will vary with availability of the day. Flowers will be designed low and lush in a clear vase.